Students selecting this major also major in Education and seek licensure as a teacher of history at the secondary or middle school level. 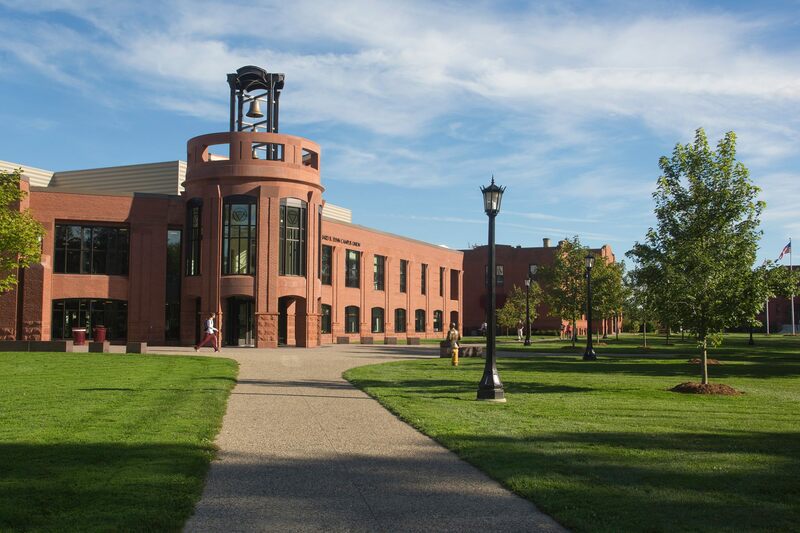 The study of history at Springfield College is designed to provide students with a basic body of historical and related knowledge which will enable them to better understand the world they inhabit, the problems of their society, and their own lives. The College believes that this core of historical understanding enables students to function as educated and informed citizens in a democratic society. A knowledge of history and its methodology helps students understand the origins and background of contemporary problems, allowing them to deal more effectively with those problems. Another major goal of the history program is to assist students in developing analytical, problem-solving, research, and writing skills. The major emphasizes content and information, but is also designed to foster the skills and attitudes that will increase the ability of graduates to find employment, regardless of their occupational goals. Careers in government service, law, business, and teaching readily follow the training of those who major in this discipline. Students complete core requirements in history and related social sciences, and they have the option to pursue a concentration, deepening their focus in a particular area or corollary of history. For more information about the history major, contact Dr. Thomas Carty at (413) 748-3254 or the Admissions Office at (800) 343-1257. In consultation with their advisors, students may choose one or more of the following concentrations, which will be duly noted on the transcripts. This interdisciplinary concentration covers all aspects American life from art to sociology. In consultation with the advisor, students must choose 21 s.h. in at least three different disciplines. Completion of the following requirements ensures successful completion of the Education major with a specialization in Secondary Teacher Licensure. All history majors must have a 2.500 GPA in the history core requirements to graduate as a history major.